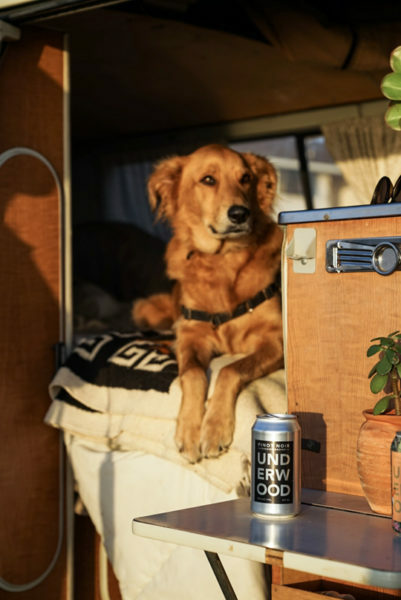 Van Life: Tips and Tricks - Union Wine Co.
Sunsets out our bedroom window, bathing in fresh rivers, and picture perfect destinations. Gypsea life seems like both perfection and intangible. How do I move all of my things into a van? What do I even need? Where do I park, sleep, shower, and dear God where will I poop!? Have no fear, Laysea is here! 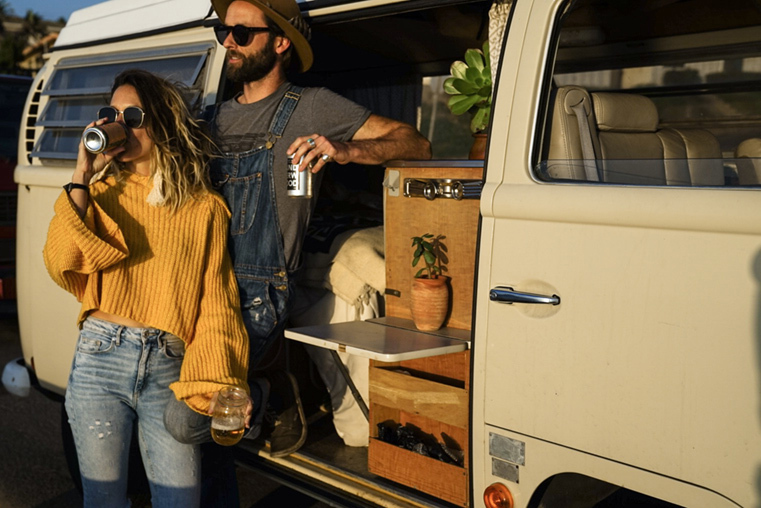 I have been around the world and back again, and have condensed all of the how to’s and cheat codes to living on the road. Everything you need, and nothing you don’t; because, after all, it’s simplicity we’re after. Moving out of a house and into a tiny home might be intimidating at first. 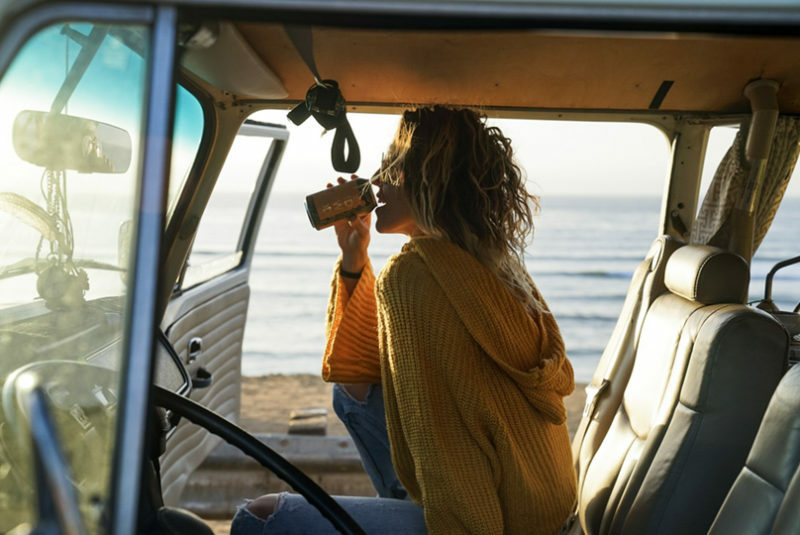 Weather you are moving into full-time gypsea mode, or weekend warrior status, selecting the right home is important. I live in a 1983 Volkswagen Westfalia, and my partner lives in his remodeled 4×4 Toyota Chinook, so we each deal with a very different storage situation. The rule of storage all about versatility. I try to only keep items that are multifunctional. Bowls that can be plates, cups that can be for any beverage, one single sauté pan that can double as a soup pot. 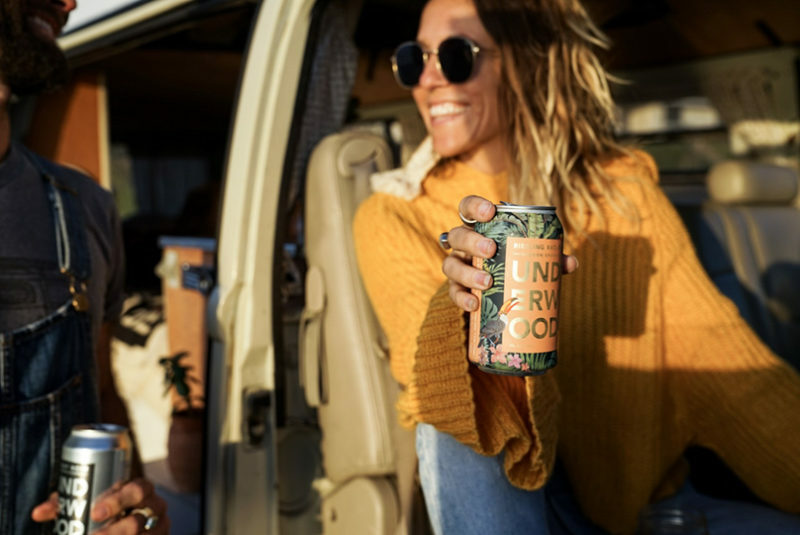 I like products that are pro van life, requiring no tools, or cups, and are recyclable. 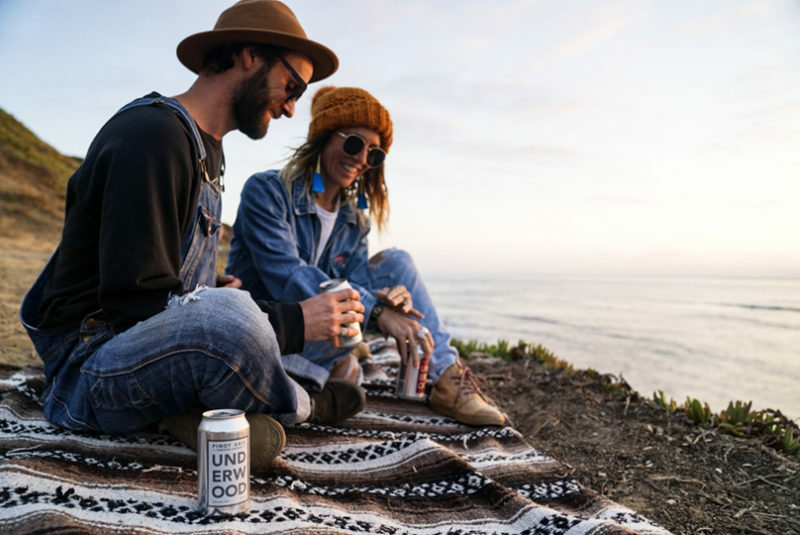 (My favorite example is Union wine, canned and perfect for camping). The same goes for clothing, and trust me, it’s not easy. And I’ll be honest, I have WAY too much clothing than anyone who lives in a van should, but hey, I make it work! Organization is how I make it possible. The way you fold and store your clothing should be space oriented, folded down as small as possible, and compact. Allow this shift to be a time to purge and let go of belongings you don’t need. You will quickly find that your comforts are frequent, and the rest will settle and collect dust. I have pulled all of my belongings out of my van and simplified time and time again. Knowing what you will need is something that is learned. Allow yourself time to adjust, and let go, and redefine what you need. Simplifying your space around you will lighten the energy you reside in and clear up space for time to create and explore. If you are moving into a tiny home full time than this will mean a huge shift for work. Working remotely as I do makes it fun to go to new coffee shops every day, exploring new towns and getting to know the communities. 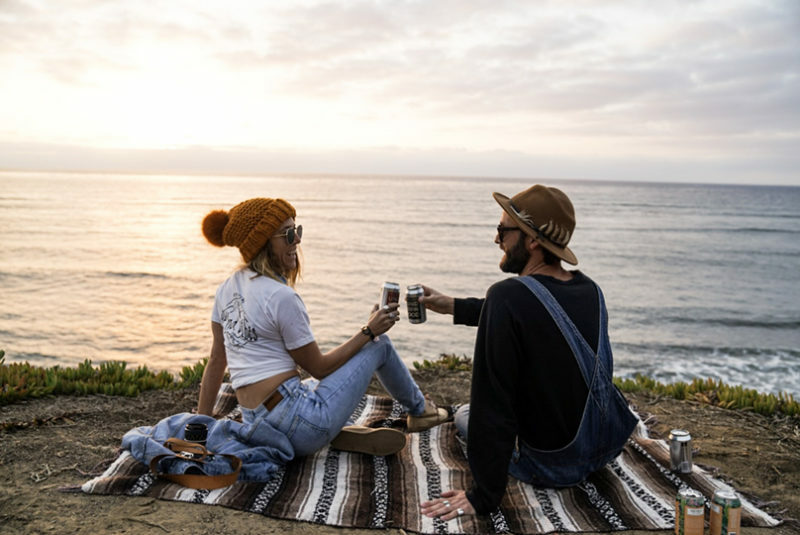 It is also very easy to find jobs on the road, whether it be selling craft items, picking up side jobs from Craig’s list ads, or putting down temporary roots and picking up a part time job can really be a fun way to immerse yourself. With that being said, money will quickly become a much smaller problem than typical life in a city! Say goodbye to rent and other miscellaneous bills that come with residing in a traditional home. Water bills will cease to exist when you fill up your reusable large water storage in fresh rivers and water fill centers. I try to always camp for free by using BLM land and freecampsites.net. 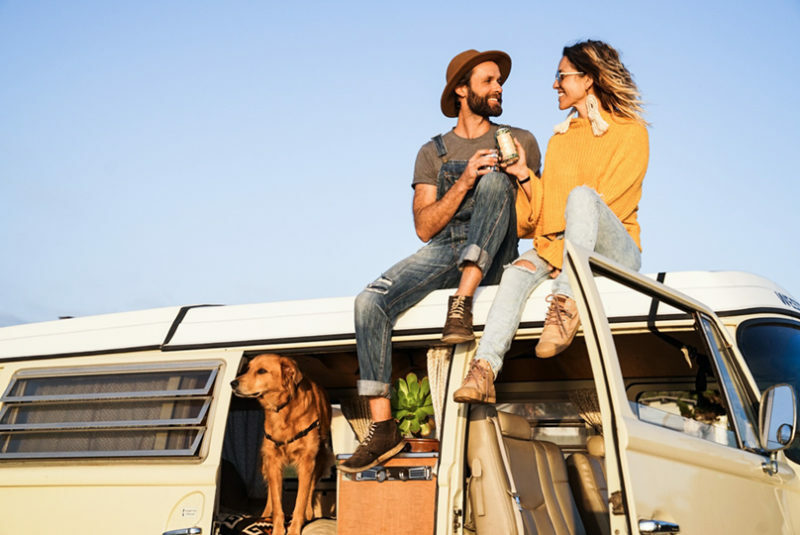 Making friends on the road will open up possible driveways to sleep, or if you use Facebook forums for van camping can create opportunities to learn more from fellow travelers or tiny home owners alike. Which brings me to showers! We all lust after the perfect natural shower, romantically bathing in a hot spring or in a fresh water river, but that is not always available. My secret is having a membership to 24 Hour fitness. They have locations all across the country and come included with towel service (nobody likes wet towels taking up van space) and a sauna / steam room so you never have to actually work out if you don’t want to. Most gyms own the parking lot and as it’s a 24 hour business you can camp in the parking lot any time. Waking up and using the bathroom in the gym is not uncommon for me as well. Which brings me to my next and most commonly asked question: where do you use the bathroom!? Waking up and heading directly to a coffee shop is both gastrointestinally beneficial and also helps me start my work day! Campsites have outhouses, and BLM land have wide open spaces (follow Leave No Trace procedures). The biggest problem is when nature calls too quickly or when a bathroom of any kind isn’t available in a city. Now, brace yourself, this is going to get graphic. I have friends who have a bucket they use and clean. I have heard of tools that help women pee into a bottle, and I have man friends who will recommend keeping a large gallon jug for emergencies to urinate. Women: I am an advocate for thick plastic bags that work perfect for an emergency as they can tie up and be thrown away. (24 Hour Fitness has them complimentary for wet clothing at the gym) I’m not into the portable bathroom that you keep in the van, but to each his own! 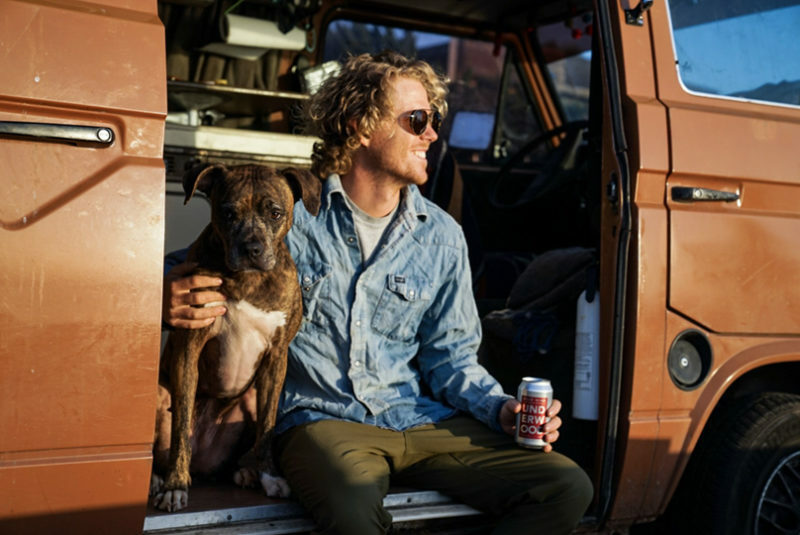 Living in a van can be extremely challenging at times, and can push you to do things you wouldn’t typically do. Van life has created space for me to grow S O much. I am stronger than I ever thought I could be. I know myself on such a deep level, and I am still deepening that relationship every single day. The amount of struggles I go through are overpowered ten-fold by the magic of gypsea life. My biggest suggestion to anyone making this transition: keep an open mind! Challenges will arise, and plans will fall through. Let go of all expectations, and just live! I could never have predicted or planned the wild twists and turns of gypsea life, and that is what makes it so special. This is no cookie cutter model for traveling, because each experience is so unique. I spell Gypsy ‘gypsea’ because I like to flow like the sea, ebbing and flowing like waves, lapping on the shore of this magical human ride. Make like the sea, and gypsea on.